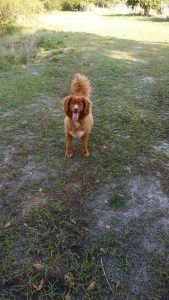 If you are interested in bringing a rescue Toller into your home, please download and read our Rescue Program General Information . We welcome you to fill out our Adoption Application. You can support the Rescue Program by purchasing merchandise through our Cafe Press Store. 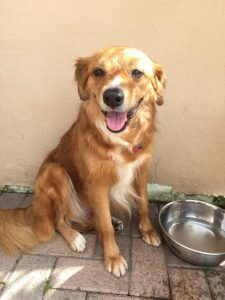 Peaches is a 6-7 (estimated) month old Duck Tolling Retriever- we don?t know much about her past, other than she was found in a field around Christmas. She is the sweetest girl and loves to give affection. She is mostly potty trained- we were actually surprised at how good she was once we got her settled. She loves to cuddle and please her owners. She gets along well with other dogs and young children ( our daughter is 18 months). 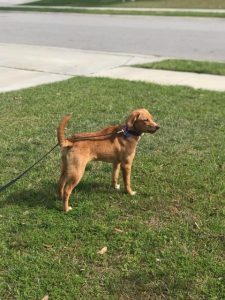 As a puppy she has lots of energy and loves to run in the backyard. She does well in her crate during the day, and is already picking up on dog training very quickly! 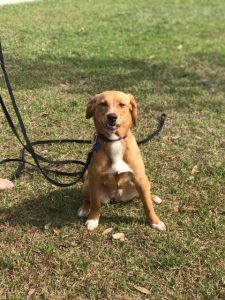 She will make a great addition to an active home. 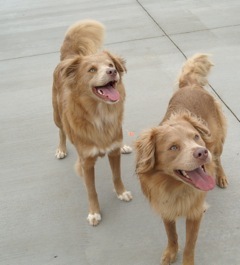 Toller rescue is helping with the adoption of Coco. 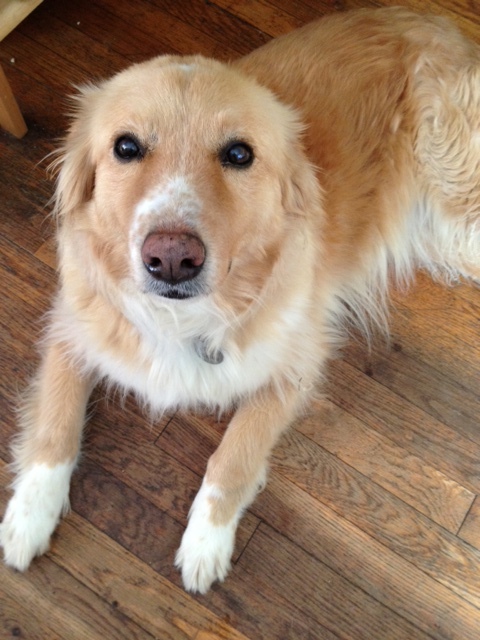 Coco is looking for a forever home with NO young children (12 and up ok), cats, or other dogs. He is the sweetest dog! 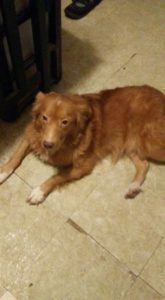 He is non- aggressive, but just does not know how to properly interact with other dogs or cats. He works for your touch/praise and loves positive methods. He loves to please and cuddle and know he?s a good boy. 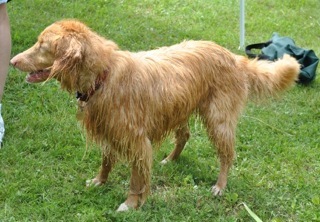 He needs an experienced person to avoid specific behavioral (tail chasing) and dietary triggers (he’s on a raw diet). His favorite thing is to lay his head against your hand and cuddle with nonstop strokes. The foster will teach the adoptive home exactly how to avoid any problems. She also has a wonderful cabin for you to stay in if you need to overnight! We would consider a condo or town home as long as it has a small fenced outdoor area. Coco Loves to sun himself and be outside. Please consider Coco for your next pet! Pictured in her new forever home!! 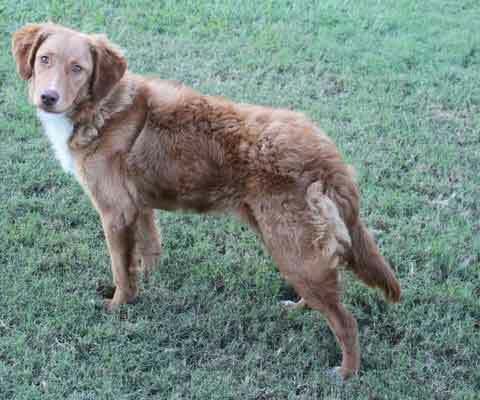 Pixie is a 1 year old female Toller that is looking for a forever home. Pixie is well suited to a loving, active family with some property, no small children and no other dogs! 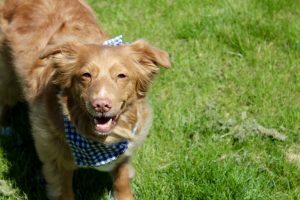 Pixie does not always get along with other dogs and may try to dominate the other dog, which is why it is recommended she be the only dog in the home. Pixie loves the water, agility drills and retrieving! A pool, waterfront or access to swimming would make her very happy. Pixie is house broken and knows basic obedience. 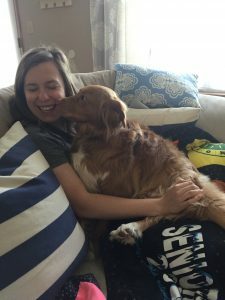 She is brilliant and with the right space and love will prove to be a reliable and all around great dog. 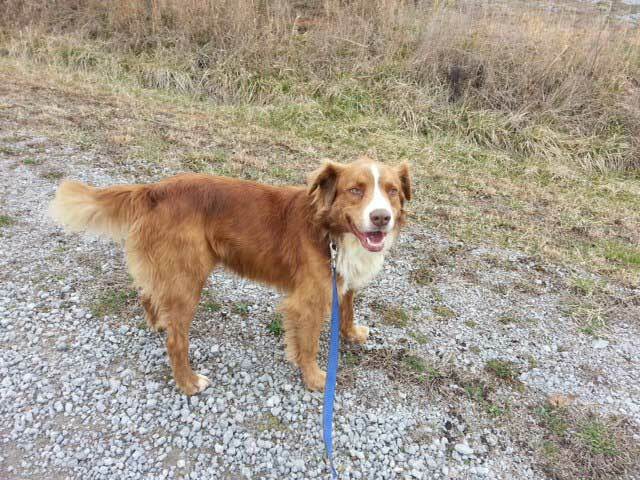 Trent is a very sweet, but slightly oversized Toller weighing 60 lbs. He does walk nicely on a leash and ez-walk harness which is a step in type, except when he sees other dogs, always wants to go play with them. He knows sit. It is currently hard to find food that motivates him, which does make training a bit harder. He is perfectly housebroken. Not a single accident the entire time. He would do best in a home with another dog, particular one that would play with him.He does retrieve, he just does this slowly. He likes to carry things around in his mouth and will pick up random things he finds (like my socks). Never does anything to hurt whatever he is carrying around and happy to trade my sock for a dog toy. He has a super sweet loving personality. Wouldn’t hurt a fly. Loves to just be right by you and wants to be involved in everything you are doing. Trent is in foster care in New Jersey. 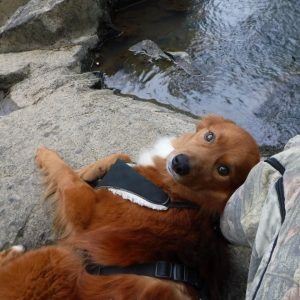 Please consider adopting Trent!!! 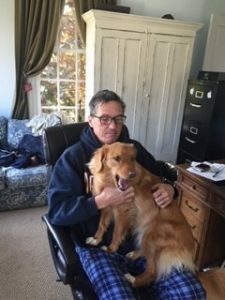 UPDATE – CHILI HAS BEEN REUNITED WITH HIS OWNER!!! 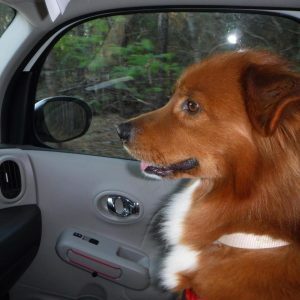 Chili is a 6 year old neutered male. He is a very friendly dog that gets along with all girls, big and small alike.He is wary of males as it appears he has been the looser in dog fights for some time. He really does not know how to play, but the foster home is working on that. He does retrieve. He knows how to sit and come and has a very reliable recall. He loves to take walks and loves to cuddle. He really enjoys belly rubs.He prefers women and may have been roughly treated by a male human in his life. He is fully house trained and barks to go out. He will go into a crate on command. He is worried when left alone, but is very happy to see you when you get home. He is fine with grooming. Chili’s owners shaved his beautiful toller body hair, which will grow back in time. 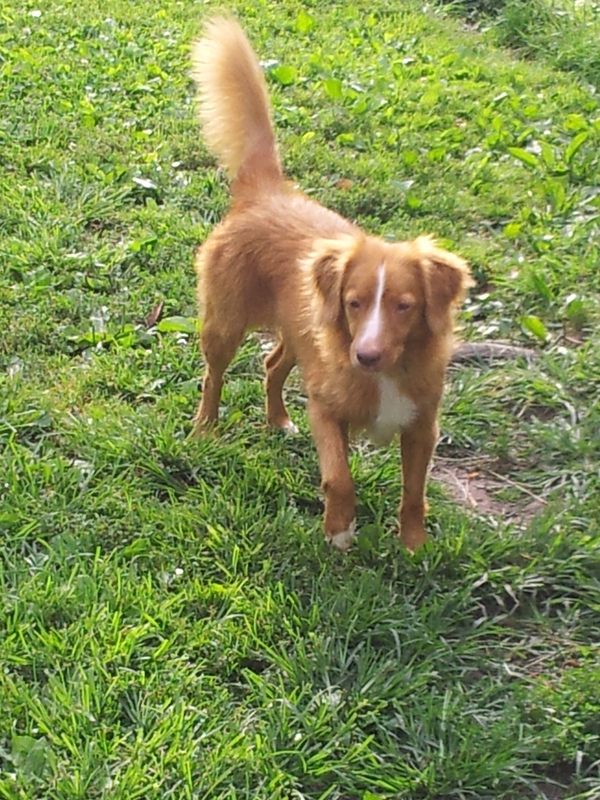 Chili is up to date on all shots, is heart worm negative and is healthy. He does take thyroid medication daily as he has a low thyroid function. Chili can’t wait to find his new home! 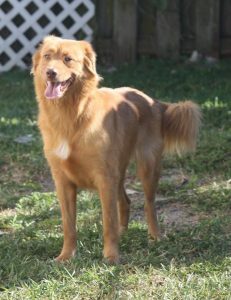 Chili is currently being fostered in South Florida. Emily outside playing fetch! We’ve officially finished clicker training with an AKC trainer! Post bath last week! I caught her jumping up to say hi to my little sister, Catherine. 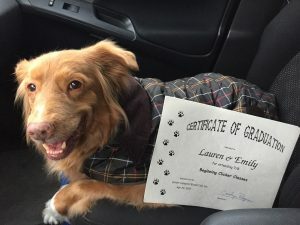 Lauren Hearit, Emily’s new mom reports that Emily continues to do well and is adjusting nicely. Her anxiety seems to have dropped (except during storms, but a thunder jacket and letting her hide in my closet seem to help) and after her spay in November, her coat has come in beautifully! 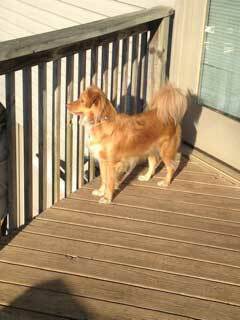 She met the family Toller over Christmas and both did well together. She continues to love going on walks and playing fetch. I’m taking her to the cottage up on Lake Michigan this weekend, and am looking forward to being able to take her on walks up there. I continue to be grateful you entrusted Emily with me!! She is so very sweet and has brought me much joy!!! 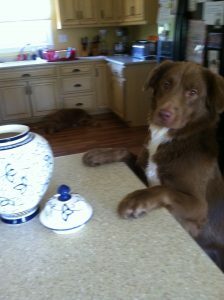 Kendall is looking for a forever home. 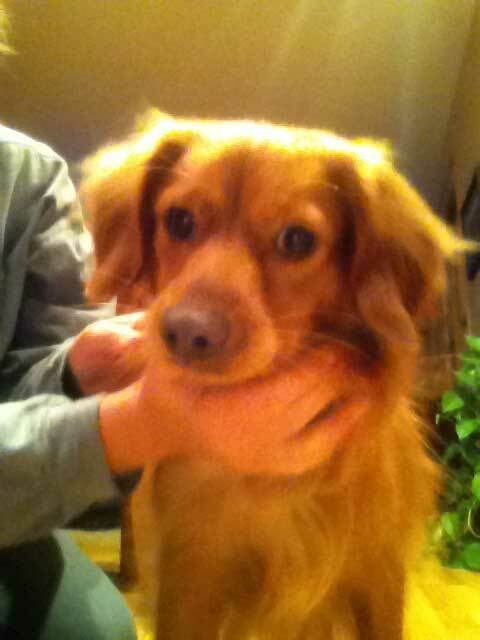 She is around 2-3 yrs old, 20″ at shoulder, and weighs 43 lbs. 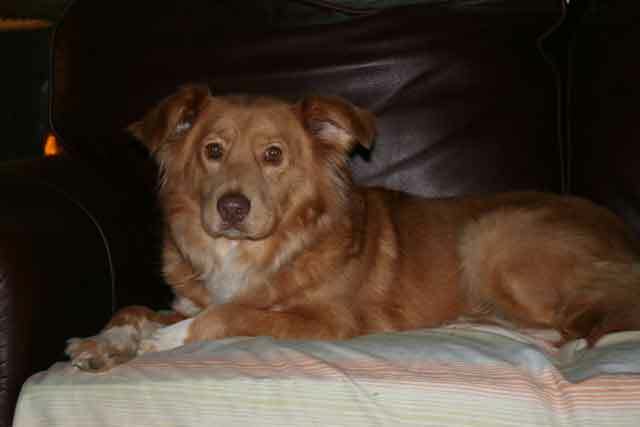 She is very sweet, crate trained, a good eater, and gets along with male dogs. She has only been introduced to female dogs over a gate. 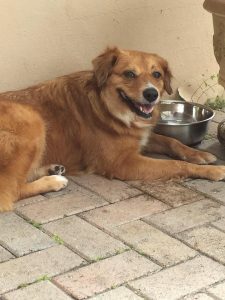 She allows grooming, and appears to be housebroken but has not been left out of crate at the foster’s home when she is not home. She is scared after all she has been through with losing her home, being picked up as a stray & going to shelter, so will need someone with who will be patient with her until she gets comfortable. The foster is a female so we are not sure how she is with men. Kendall is up to date on all her shots, is spayed, and heartworm neg. 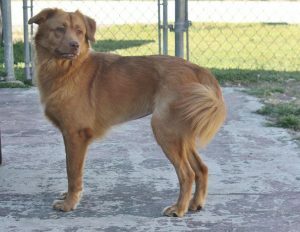 Kendall is currently being fostered in South FL. This is Titus. 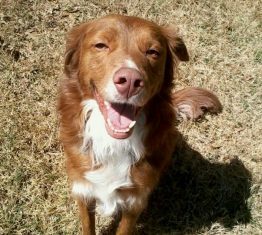 He was originally fostered by a Golden Retriever Club and has now been transferred to toller rescue. 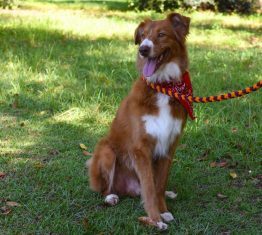 He is a larger than normal toller, but has all the correct toller characteristics.He is a very sweet boy who happily wags his tail. He has had all shots and is neutered. 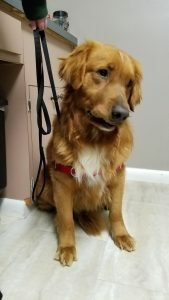 He is in excellent health and we believe he is 3 1/2 to 4 years old. 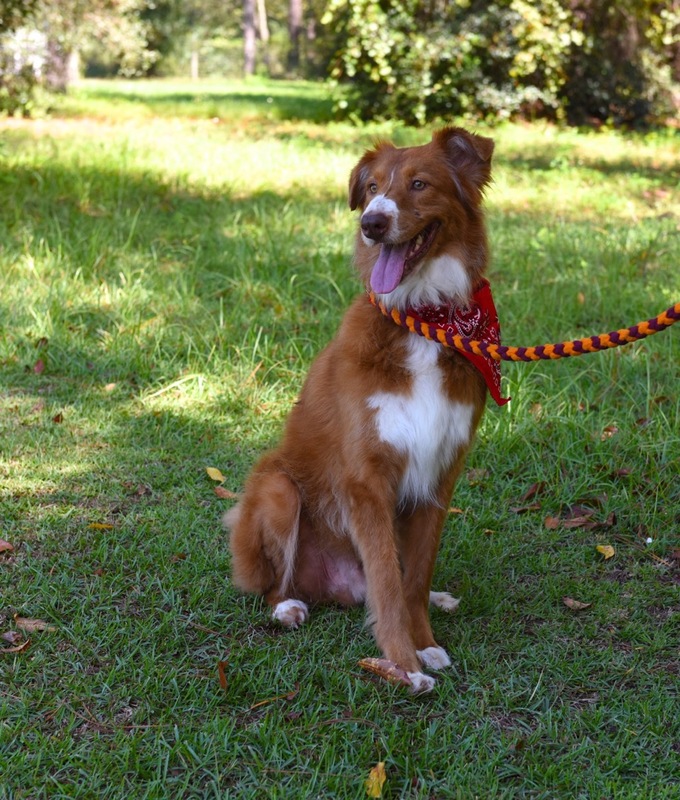 Titus recently completed obedience training and now walks on a loose lead, sits and downs, and comes when called. He knows and correctly responds to every command that is required of a Novice dog. Titus gets along well with other dogs and cats. Please consider giving Titus a forever home. UPDATE!! Stella is adopted!! Her new name is Bonnie. 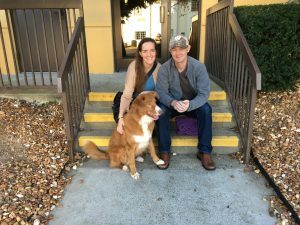 We’re so happy for Bonnie and her new home! 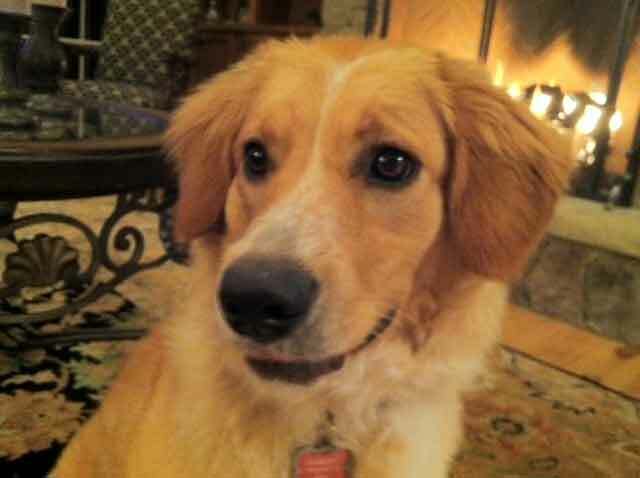 Stella is a beautiful young girl, 2-3 years old.She is about 17-18 inches tall and weighs 37 lbs. She is extremely sweet and wants more than anything to be loved and petted. She has also liked every dog she has met! 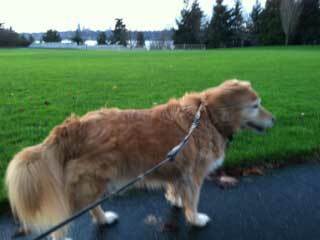 Stella was treated for heartworms so will need to be kept quiet and leash walked for the next 6 weeks. She is up to date on all shots and is healthy. Stella is housebroken. She deserves a family that will love her forever! She will give back equally in the devotion she shows. Please consider adopting Stella!! Update!!! 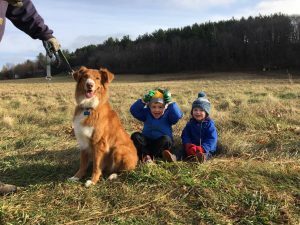 – Cody is adopted!!! His new name is Jake and from these pictures he has found a wonderful forever home!! This is Cody. 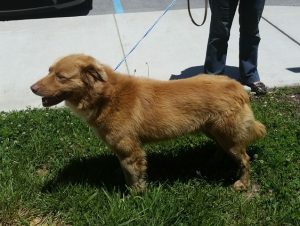 He is estimated to be a 4 year old neutered male. 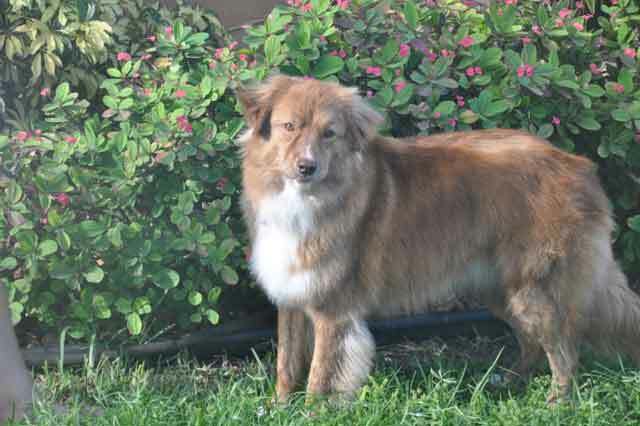 In an effort to remove?mats when he was brought into the first shelter, they cut his beautiful Toller fur, but it is evident that this will grow back. He gets along well with other dogs. 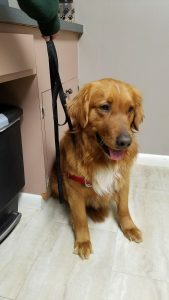 He saw a cat in the vet’s office and approached it calmly; cat reared up and hissed and he backed up and barked, which is a normal reaction. He’s not interested in chewing on anything but my vet said his canines are worn down. He’s well mannered; does not jump up on us at all and loads into a car with no issues. He walks nicely on a leash. He is happy in a crate with no whining or barking at all. He does have an uneven gait which the Vet indicated was from an old toe injury and will not cause any problems in his long term health or movement.? He is up to date with shots and worming. Please consider adopting this handsome boy!! Alyson Casper our National Rescue Coordinator. Your inquiry will be forwarded to the appropriate Regional Coordinator for follow-up. 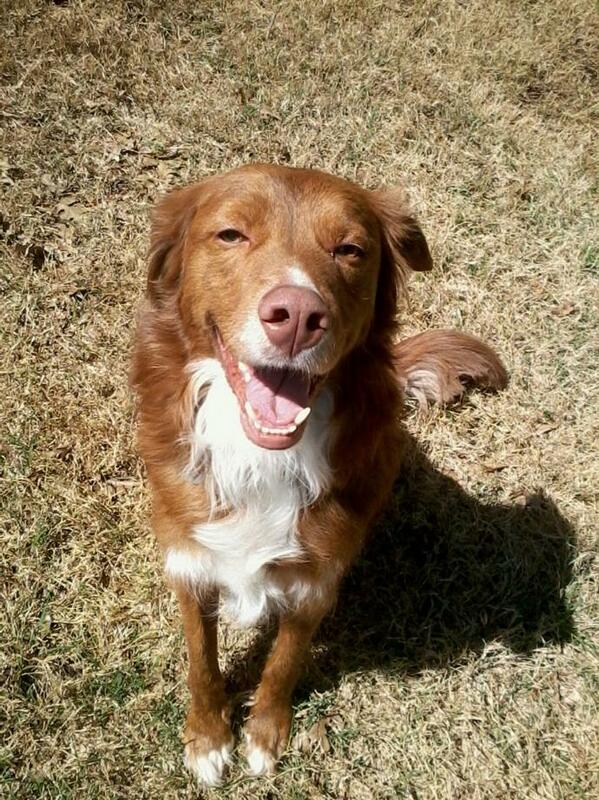 Do you think you have a Toller in your Shelter? 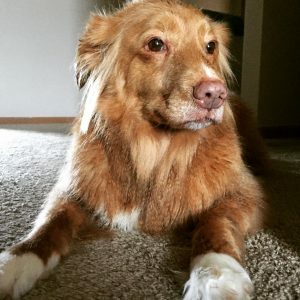 If you have a Toller to surrender, or if you think you have a Toller in your shelter, please contact Alyson Casper our National Rescue Coordinator. Your inquiry will be forwarded to the appropriate Regional Coordinator for follow-up.